The Metropolitan (Metro) Campus opened in 1969 as Tri-C's first campus. Located near downtown Cleveland in the Campus District, the Metro Campus offers state-of-the-art health careers labs, is home to the nationally-renowned Tri-C JazzFest Cleveland, and features industry-standard learning laboratories in programs such as Recording Arts and Technology, Hospitality Management and Electronic/Electrical Engineering. Take a look at Metro's renovation plans! Sankofa Village Rental Assistance For Students and Employees of Cuyahoga Community College. 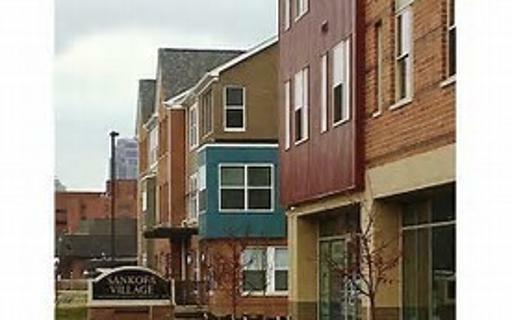 The program provides one month’s rental payment up to $1,000 to live in Sankofa Village in pre-approved rental units.